The Equal Employment Opportunity Commission is seeking public feedback on how to help the government do a better job of hiring and retaining individuals with disabilities. EEOC regulations offer a “detailed explanation” of the standards determining whether an agency has violated the law that governs federal employment of individuals with disabilities, but they need to clarify the government’s responsibilities with respect to hiring and promoting disabled candidates and employees, stated a notice published in Thursday’s Federal Register. The government has an “obligation to be a model employer of individuals with disabilities,” the notice said, soliciting public comments on how the EEOC can amend its regulations to explain what that obligation means to agencies, and how it relates to their “nondiscrimination or affirmative action obligations.” The EEOC is “concerned that, without more guidance, agencies may not fulfill their obligations under the  Rehabilitation Act,” said Peggy Mastroianni, in the EEOC’s Office of Legal Counsel. The feedback, due by July 14, will be used to craft proposed rules amending regulations related to Section 501 of the Rehabilitation Act. Specifically, the EEOC is looking for input on seven questions posed in the notice, including the kind of barriers that currently exist in recruiting, retaining and promoting disabled individuals in the federal government, and whether the government should establish annual goals for hiring disabled candidates. The notice also asked whether there should be “consequences” for federal agencies that fail to meet the eventual goals. It’s not clear why the EEOC is soliciting feedback on the matter right now. President Obama in 2010 issued an executive order directing federal agencies to improve their efforts to hire and retain individuals with disabilities, and “targeted” disabilities as defined by the EEOC; the order included a goal to hire 100,000 people with disabilities into federal service over five years. Mastroianni said that updating the regulations related to Section 501 “will support implementation” of Obama’s executive order. 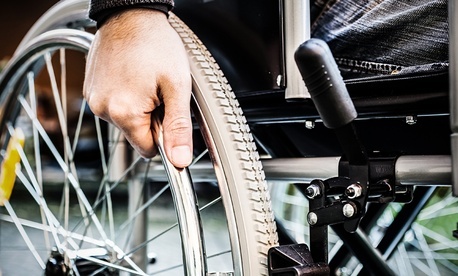 The federal government employed 203,694 people with disabilities at the end of fiscal 2011, and increased that total to 219,975 by the end of fiscal 2012, according to a December 2013 report from the Office of Personnel Management. New hires with disabilities grew from 14.65 percent in fiscal 2011 to 16.31 percent in fiscal 2012, the report said. Hyacinth Clarke, an associate at federal sector labor and employment law firm Tully Rinckey in Washington, said the solicitation of input now could be related to the growing number of veterans entering the workforce, many of whom have mental or physical disabilities related to their service. “The government is in the best position to be the model employer,” Clarke said, adding that she has worked with vets who have a documented disability from the Veterans Affairs Department, but who still have to prove that disability to the federal agency when they apply for a job – an often lengthy process. Obama, through executive orders and other actions, has repeatedly said he wants the federal government to be a model employer when it comes to diversity and pay parity.